If nothing else, post-closing disputes can be frustrating and potentially very costly. Typically, the parties involved in a deal have spent considerable time, effort and resources identifying and negotiating the transaction and bringing the deal toward a close. The parties have also likely allotted significant efforts to post-closing planning and strategies: for sellers, what to do next with returned capital; and for buyers, how to maximize profitability through operational synergies. The complexity, ambiguity and uncertainty of post-closing calculations can create significant and negative economic impact (e.g., increased costs, strained relationships, judicial intervention, etc.) on the parties. Ideally, disagreements can be resolved and a compromise reached. However, in other situations, disagreements over contract definitions (or lack thereof), calculation methodologies, data sources, timing and cut-off issues, or other items may be too significant to be worked out through across-the-table discussions, and ultimately end up leading to expensive and time consuming litigation. Patrick Chylinski, MAFF, CVA, CFE is a principal and the West Region Practice Leader for McGladrey's Litigation Consulting and Financial Forensics practice. He has extensive experience managing and directing engagements relating to complex commercial litigation, business disputes, investigations of fraud and financial misconduct, and business valuations. 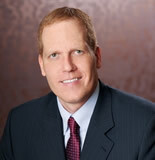 He has been designated as an expert in numerous cases, and has testified as an expert in litigation matters relating to contract and fee disputes. Mr. Chylinski has experience serving clients across various industries including financial services, real estate, construction, insurance, gaming, entertainment, and technology.